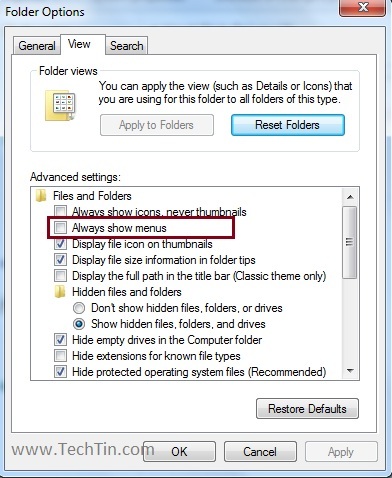 For temporary use, you can press ALT button on keyboard to enable menu bar in windows 7. 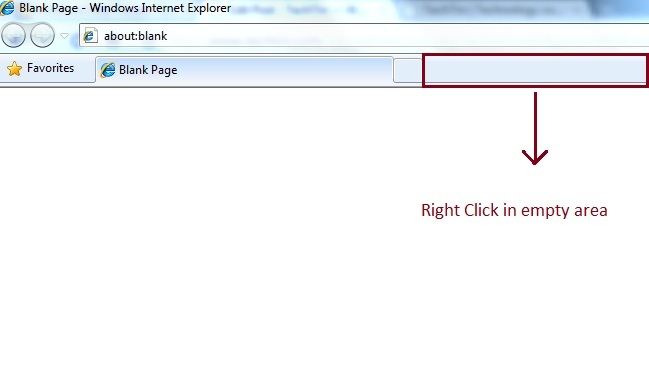 Follow below steps to turn on menu bar in windows 7. Open a Windows Explorer Window like “computer”, “Documents” etc. Click on the “Organize” button and then Layout and check menu bar. 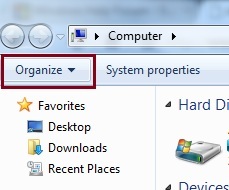 Click on the “Organize” button and then “Folder and Search Options”. Right click on a empty area on the tab bar area and check “Menu Bar”. Right click on a empty area on the tab bar area and check “Show menu bar”.